Chief Mousers are specially-appointed cats who live and work in various official residences, most notably 10 Downing Street. Unlike the residents of Buckingham Palace, these cats are not of royal bloodlines. Chief Mousers typically come from animal shelters, most recently the Battersea Dogs & Cats Home. In a society that still retains vestiges of strict class traditions, it's nice to see such prestigious positions occupied by those of humble beginnings. 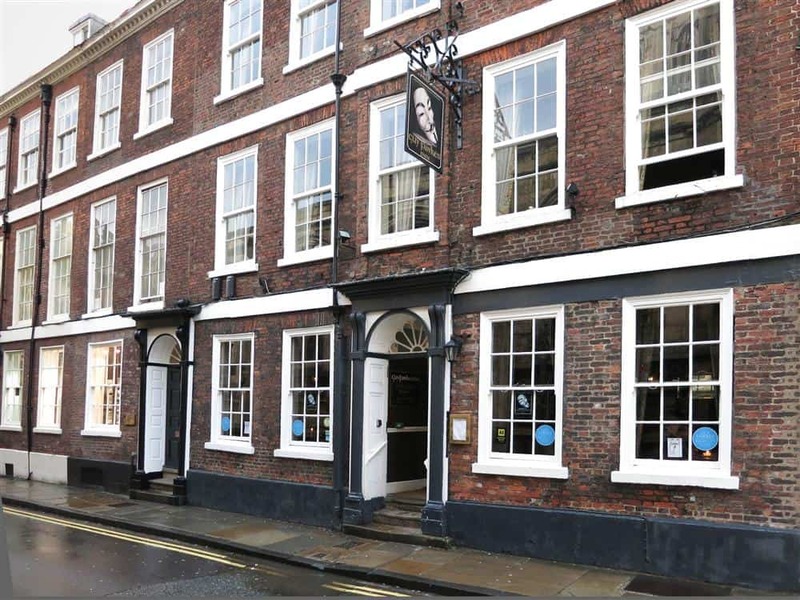 Way back in 1515 (the time of Henry the 8th), Cardinal Thomas Wolsey appointed the very first Chief Mouser to serve at his side while he was Lord Chancellor. Ever since, there has been a Treasury or Downing Street cat on duty. Though most didn't receive an official title, several cats in recent years have been granted official “Chief Mouser” titles. In addition to serving a practical purposes (the reduction of mice), the cats are often featured in British press – particularly when they're getting into trouble, or when a political figure is said not to like one of the cats. On David Cameron's last day, he faced gentle ribbing from critics who called him a “dog person” and insisted he never really liked Chief Mouser Larry. He made a statement to the contrary, offering the following tweet and photo as proof. Today, the position of Chief Mouser isn't limited to 10 Downing Street. 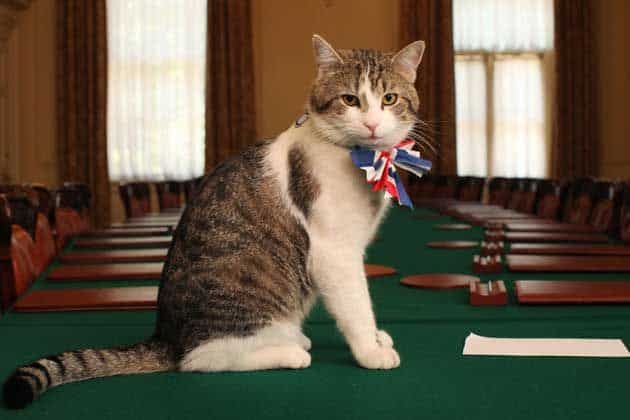 Chief Mousers can also be found in the Treasury Office, the Foreign Office, and the Cabinet Office. As one might expect, that has lead to much drama amongst the ranks. Indeed, his actual mousing skills have been called into question quite a few times, and another “co-mouser” named Freya was even brought in for two years between 2012 and 2014. Sadly, Freya had a strong desire to roam, and she was frequently returned to Downing Street by concerned citizens. On one of her outings, she was clipped by a car and it was decided she needed a less urban home. She has since retired to Kent, leaving Larry fully in charge once again. Larry has also been romantically linked with a lady friend, Maisie, who lives in the neighborhood. Follow Larry on Twitter here. It's only fitting we should discuss Palmerston next, as he has something of a “special” relationship with Larry. 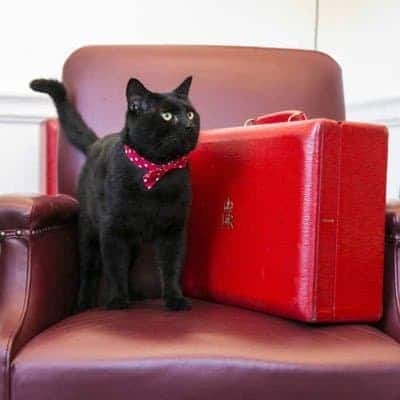 Palmerston became the Chief Mouser of the Foreign Office in April 2016, Palmerston is a young cat, just 2 years old at the time of writing, and he's already caught at least 26 mice and 1 rat. He's said to be quite friendly, cuddling tourists and diplomats alike (no doubt preventing wars and general chaos with his fluffy diplomacy). Unfortunately, the relationship between Palmerston and Larry is not quite as peaceful. The two cats have been in the news numerous times for brawling and sending each other home with hurt paws, bloody ears, and missing patches of fur. Though I've not seen any official word as to the nature of the disagreement, my suspicion is that it might be over a difference of opinion on football teams. Follow Palmerston on Twitter here. You can also follow his human, Sir Simon McDonald, for adorable posts like this one. Gladstone was adopted in late July of 2016 to serve as mouser for the Treasury. A sleek black cat known for his red and white polka dot bowtie, Gladstone is said to be something of a killer. 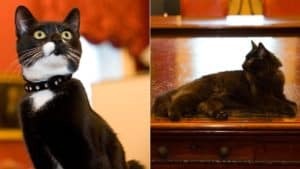 By early fall, he had already racked up 6 confirmed kills, and other nearby offices took notice of the work he and Palmerston were doing to keep Downing Street mouse-free. 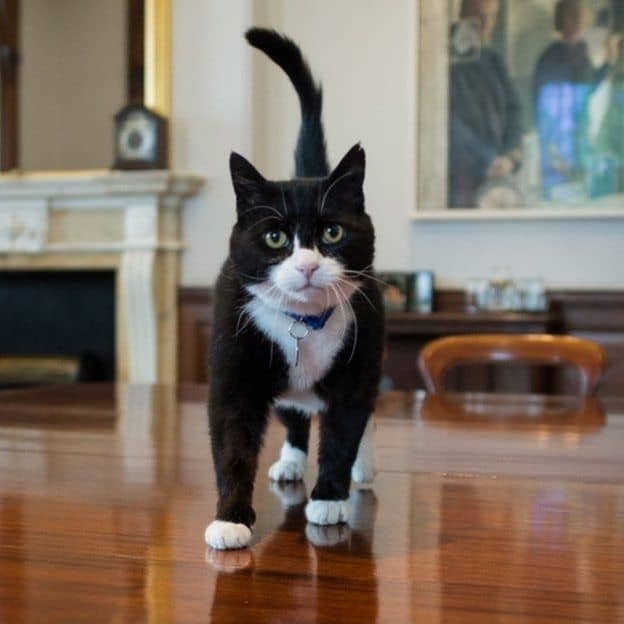 This sparked rumors that the Cabinet Office was looking for a cat of their own (more on that shortly). In spite of his reputation, Gladstone is also said to be quite the cuddle-bug. He's also served as cameraman during the Open House London event last September, wearing a tiny camera on his collar and showing people around the hallowed halls of his territory. Follow Gladstone on Twitter here. Follow Gladstone on Instagram here. 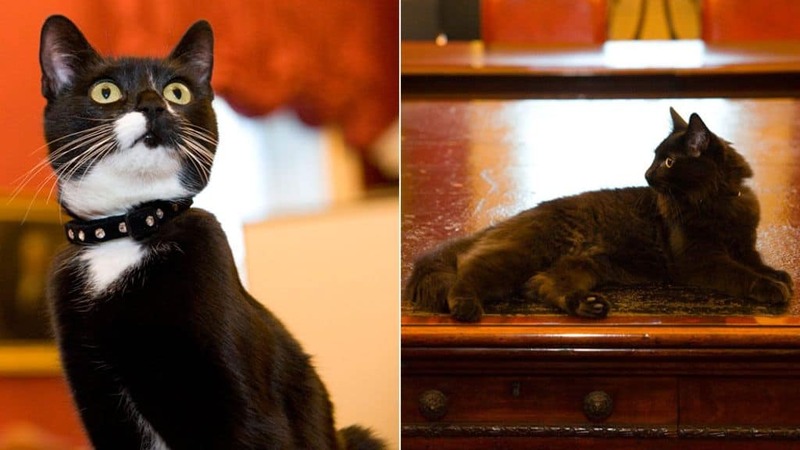 Ossie and Evie were adopted by the cabinet office in December of 2016, and this mother-son duo has been kept inside to avoid the fierce Larry/Palmerston turf wars on Downing Street. Still, they have four floors to roam, so that must be exciting for two cats previously living in a shelter. Evie was named for Dame Evelyn Sharp, the first female Civil Service Permanent Secretary. Ossie was named for Sir Edward Osmotherly, author of a guide to giving evidence to Parliamentary committees. Little is known about these two cats, though rumors suggest Evie might be something of a diva. Follow Evie on Twitter here (apprently, Ossie is still too young for Twitter). Given the current political shakeup in the UK, it's too soon to know what will happen. Will Larry be retired due to nonperformance and Theresa May's general disdain for him? Will Ossie and Evie ever go outside? Will new cats enter the picture? Who knows. 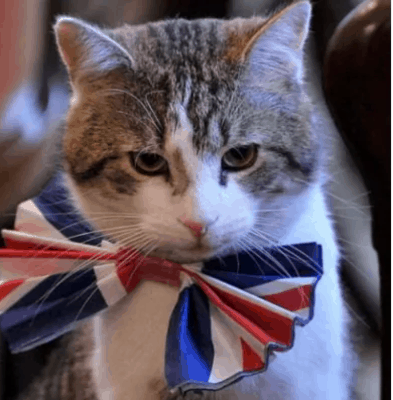 We DO know that Theresa May is a self-professed “dog person” who avoids mouser Larry, while Jeremy Corbyn has stated he feels confident that he and his cat El Gato would fit in just fine with Larry at 10 Downing Street. We'll be awaiting further British cat news with eager anticipation. This story is hilarious! I love, love, love that these cats are being rescued & living the high life on Downing Street. U.S. State department advised to be on watch for costumed cats seeking passports. 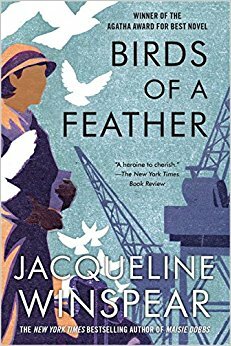 Charming story. I absolutely love this storyline!